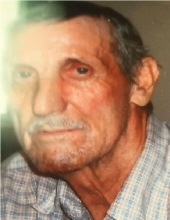 Mr. Merle Dean Hord, age 77, of Tollesboro, Kentucky, passed away Thursday, March 21, 2019, at Pioneer Trace Nursing Home in Flemingsburg, Kentucky. He was born November 27, 1941, in Lewis County, Kentucky, a son of the late Adrian and Musetta Pauline Applegate Hord. Merle was of the Christian faith and was a life-long farmer, who sold the most pounds per acre than any farmer in 1971, at the Maysville Tobacco Warehouse. He enjoyed fishing, hunting, working in the garden, tractor pulls, and spending time with his family. In addition to his parents, he was preceded in death by two brothers, John Hord and Edwin Hord, and two sisters, Erma Hook and Gayle Stimm. Merle is survived by his wife of 41 years, Jerri Hardymon Hord; two sons, Adrian “A.D.” Hord and Scott Hord, both of Tollesboro, Kentucky; one granddaughter, Nova Hord; and two sisters, Phyllis Kirkland of Mt. Sterling, Kentucky, and Carol Howell of Indianapolis, Indiana. Funeral services will be held at 2 p.m. Tuesday, March 26, 2019, at Tollesboro Funeral Home & Cremation Services in Tollesboro, Kentucky, with Brother Pete Corns officiating. Burial will follow in the Hillcrest Garden of Memories in Mason County, Kentucky. Friends may visit from 12:30 p.m. to 2 p.m. Tuesday, March 26, 2019, at Tollesboro Funeral Home & Cremation Services, 11918 KY 57, Tollesboro, Kentucky 41189. "Email Address" would like to share the life celebration of Merle Dean Hord. Click on the "link" to go to share a favorite memory or leave a condolence message for the family.